A 34-year-old woman accused of killing one man and injuring two others when she crashed a car into a taco stand in Boyle Heights while allegedly driving drunk pleaded not guilty Monday to vehicular manslaughter and related charges. 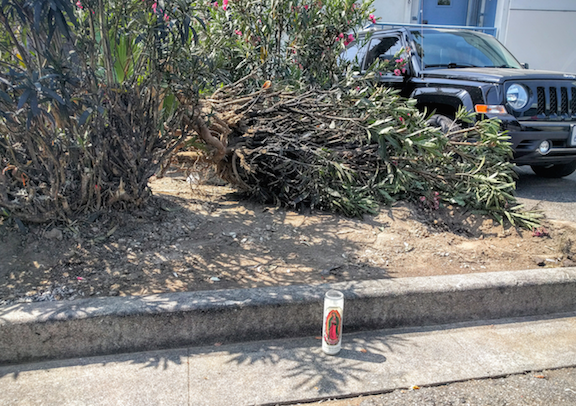 Maribel Rosas, of South Gate, faces one count each of gross vehicular manslaughter while intoxicated, driving under the influence of an alcoholic beverage causing injury and driving with .08 percent blood alcohol content causing injury. Rosas is due back in court on Aug. 24 for a preliminary hearing to determine whether there is sufficient evidence to proceed to trial. On June 26, prosecutors allege that Rosas was behind the wheel of a vehicle that crossed three lanes before running up a curb and crashing into a taco stand in the 300 block of South Clarence Street. Juan Mendez, 48, was killed and two other people were injured. A man in his 50s was killed and nine other people were injured when a vehicle crashed into parked cars and a portable taco stand in Boyle Heights, authorities said Monday. Maribel Rosas, 34, was booked on suspicion of felony vehicular manslaughter, said Detective Jose De Leon of the Los Angeles Police Department’s Central Traffic Division. The crash was reported at 9:25 p.m. Sunday near 376 S. Clarence St., according to the Los Angeles Fire Department’s Erik Scott. “Three customers were transported to various hospitals with major injuries and one customer died at the scene,” De Leon said. Six patients were evaluated at the scene, but declined to be taken to hospitals, Scott said. One person was killed and eight others were injured Sunday night when a vehicle crashed into parked cars and a portable taco stand in Boyle Heights, authorities said. The crash was reported at 9:25 p.m. near 376 S. Clarence St., according to the Los Angeles Fire Department’s Erik Scott. One person was pronounced dead at the scene, two people were taken to hospitals in critical condition and one was hospitalized with a minor injury, Scott said. Six patients were evaluated at the scene,but declined to be taken to hospitals, he said. Update: 3:10pm: Maribel Rosas, 34, has been arrested on suspicion of felony vehicular manslaughter. She was the driver of the Nissan Altima that crashed into the parked cars. Detectives found Rosas with alcohol over twice the legal limit.